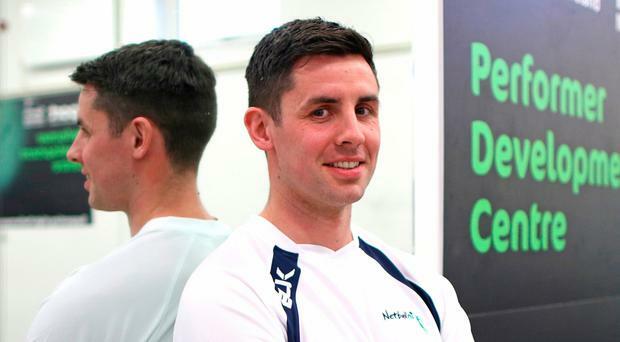 After retiring as an inter-county goalkeeper for Derry, Eoin McNicholl was examining ways to make it further into the world of preparing athletes when a chance encounter with former Ireland Rugby strength and conditioning trainer Mick McGurn set him on a path that has him preparing the Northern Ireland netball team as they head for the Commonwealth Games in Australia next month. McNicholl's head was spinning during that seminar in Blanchardstown with the expertise all around. Alongside McGurn was Mick Clegg, the one-time Manchester United strength and conditioning coach who is widely credited with transforming Christiano Ronaldo from slightly awkward teenager to Adonis. Ashley Jones, the former All Blacks and Wallabies S&C coach, was on McGurn's other shoulder, and still McGurn generously turned the conversation to Gaelic games to include Glenullin man McNicholl. "It wasn't long after I gave up the ghost and retired from Derry," he recalls. "He kind of knew me through that, my name was in the paper for retiring at the end of the league and he had called me on first name terms. "I was kind of surprised that he knew me and after the course I went up and met him, to ask him how things were. "I asked him if there was any way I could help, if there was anything he might recommend, anybody I could go and see and any courses I should attend." The two stayed in touch and McGurn mentored him for a couple of years, recommending various courses and making connections, until the role of Northern Ireland Netball S&C coach came up and he put him in touch with head coach Elaine Rice, and the rest is soon to be history. McNicholl was something of a boy wonder and an early achiever in his own sport. In one 18-month spell he won the All-Ireland minor title with Derry in 2002, captured a MacRory Cup and later a Hogan Cup with St Patrick's Maghera as schools All-Ireland champion, beating St Jarlath's of Tuam in the final. He also represented Ireland in the Under-17 International Rules series against Australia. In 2013, his younger brother Neil McNicholl also won the MacRory and Hogan Cups with St Patrick's, and it is very rare indeed that a family have two sets of both medals. But after he retired from senior inter-county duty in April 2016, he found himself with a surfeit of time. "Going from playing for Derry, I would say we were at the top level, playing in Division One league finals and competing in the Ulster Championship," he states. "But you are out four nights a week and, once I finished playing for Derry, I suppose you were sitting in the house for a couple of weeks wondering what to do with your time, and the next step was to get into a bit of coaching. I would find it hard to sit too long in the house in the evenings so the next thing was to get out and do a bit of coaching, getting into other sports." After university he undertook the UKSCA course to become an accredited strength coach. As part of that he spent a week interning for Phil Richards, who had looked after that part of Amir Khan's preparations when he was in his prime, along with various teams such as Worcester Warriors and Bolton Wanderers. Since then it has been a series of conventions and lectures all over Europe in his quest for the latest, cutting edge information on the art and science of strength. On Good Friday he is bound for Galway where former Irish rugby coach Eddie O'Sullivan is one of the keynote speakers, along with Lukasz Kirszenstein who was S&C coach for last year's All-Ireland winning Galway hurlers. "Every day is a learning day. You can never say you have learned enough," is his own philosophy. "Every day, you are thinking about who you could work with next, who you are going to visit or make the connection with because you are dealing with other sports. "I have taken so many rugby drills, football drills and different things that you can put together and into the netball scene and hurling teams." Last year he gained much praise for his work with the burgeoning crop of young hurlers of Dunloy, who won an Antrim county title, and manager Gregory O'Kane paid warm tribute to the work McNicholl had carried out. He explains his role as: "It's bringing everything on board, like the recovery methods, developing the strength, developing the conditioning and bringing it all together in game-related conditions and what is going to suit those players best. "Greg is a very clued-in lad. He doesn't just hold himself down to one particular area, he realises that to get the best out of the players you have to broaden the horizons a bit, and take on all areas of athleticism, rather than just the game itself and the skills towards the game," he adds. There are certain similarities, but more differences, in training the NI netball team and a panel of hurlers, as he explains. "You had a broad range, experience and knowledge of S&C. You have girls there who have been on the team for maybe 10 or 15 years and have done some form of S&C for years. "And then you have other girls who are very young - 18, 19 years of age - who have very limited knowledge and experience of S&C so you have to adapt and maybe spend a wee bit more attention on some players. "But to compare it to the hurling, I suppose in a hurling team you have 35, 40 players to manage, whereas with a netball squad there is only 12. It would be difficult in terms of the hurling. You would be doing a lot more spotting and fixing, whereas the netballers, with a smaller squad, it is easier to manage. "In the netball squad, there are a number of players from a Gaelic football background, such as Armagh legend Caroline O'Hanlon and Tyrone captain Niamh Woods, and it is important to balance what they are doing in their other sporting pursuit. "You have to have a good relationship there with physios, with head coaches and with the players themselves and finding out what training they have done, what games they have played in the days leading up to the session," he points out. "Finding out generally how they are feeling, if they are feeling sore you might have to do more flexibility work, or if they are feeling lethargic, maybe less conditioning. So you are constantly assessing every day you go in, every session you do. Finding out what's needed. "You have to think on your feet sometimes, you might have a session planned and programmes done out and you could land and some players could be nursing an injury, feeling lethargic and you have to adapt and change the training session." With the Northern Ireland team, he comes under the umbrella of head coach Rice, who is a lecturer at St Mary's University Belfast and a former international herself. "She is very clued in," McNicholl says. "She is like Gregory O'Kane in that respect, she lets you do whatever you need to do to get the players in the right condition, gives you full authority to do whatever you have to do. She is a very good manager, very open-minded." With the Commonwealth Games due to start at the beginning of next month, he believes they have given themselves the best opportunity of fulfilling their potential. He states: "They are as fit as they will ever be and are in great condition now. "Like, going from their stats, they are hitting their fitness records, well within a top four team in the world. "So we would be fully confident that they are going to do themselves justice. It's a different stage. They are going over to play against Australia in their opening game. The Australia team are ranked number one in the world and are professional athletes. "Our girls are amateur, some of them are semi-professional, so it is going to be a big ask to compete with professional athletes, but they will never be in a better position to do so. I am looking forward to watching it and seeing them do themselves justice for all the hard work they have put in."